Okay, after too long a layoff from posting, I will try to resume a regular schedule. Here is the cool link of the day. My family spent the day in New York City, taking in the matinee performance of Movin' Out, the Twyla Tharp dance performance based on the music of Billy Joel. Since I grew up on Long Island, Billy Joel was to me what Bruce Springsteen was to people in New Jersey: a hometown boy who hit it big. So I knew the music of this production pretty well. One of my cousins has been a member of the company since the show premiered, so we got to have dinner with her after the show. An enjoyable outing in the Big Apple! It's official: the days are getting longer now (even if it doesn't feel like it yet!). Merry Christmas, everyone. Okay, I REALLY need to get back to a regular routine of posting to this site. It will be a New Year's resolution, for sure. In the meantime, I will endeavor to assemble a few "Ten Best" lists to send off 2004. Look for these in the course of the next few days. Oh, Play That Thing by Roddy Doyle. Doyle is an Irish author (and Harry Potter scribe Jo Rowling's favorite writer) who penned The Commitments and Paddy Clarke Ha Ha Ha, which won the Booker Prize. This is his new novel. Chronicles, Vol. 1 by Bob Dylan. The highly regarded memoirs of a pop music genius. His Excellency: George Washington by Joseph J. Ellis. The historian who gave us Founding Brothers and the Jefferson biography, American Sphinx, now turns his attention to the father of our country. All I Did Was Ask: Conversations with Writers, Actors, Musicians, and Artists by Terry Gross. Featuring interviews from the public radio program"Fresh Air." Leonardo da Vinci: Flights Of The Mind by Charles Nicholl. A biography of the consummate Renaissance man. Songbook by Nick Hornby. In which the author of High Fidelity waxes philosophic about his favorite dozen or three pop songs. It includes a CD of selections discussed in the book. John James Audubon : The Making of an American by Richard Rhodes. Another biography, this one from the Pulitzer Prize-winning Rhodes. 1,000 Places to See Before You Die by Patricia Schultz. A travel book from my sister, well suited for the plans I have for the next couple of years (my next sabbatical being just around the corner!). The Know-it-all: One Man's Humble Quest to Become the Smartest Person in the World [Abridged Audio CD version] by A. J. Jacobs. In recorded form, this will be a good travel companion in the car, I think. Band Of Brothers DVD boxed set. I asked for this gift. I've seen just snippets of it, but by all accounts this is a brilliant collection. My good friend Tom Generous, a military historian, gives the series a rave review. 10. The Simpsons. Because more than fifteen years into its run, the show is still capable of moments of brilliance, even if it is not as consistent as it once was. Moreover, it retains its delightfully subversive sensibility. As in the past, it�s the wonderfully detailed second- and third-tier characters that keep this half hour ticking. 9. Curb Your Enthusiasm, which we need to see a lot more of. It's more or less an HBO version of Seinfeld focusing on George Costanza living in L.A.
8. The Daily Show with Jon Stewart. At its peak in this election year. A spot on send-up of the worlds of politics and the media. 7. The West Wing. Despite the continued absence of a sorely missed scripter Aaron Sorkin, the shake-up in the White House staff following Leo�s heart attack, the machinations involved in the forthcoming election to detemine Bartlet's successor, and the president�s recent battles with his multiple sclerosis have returned this program to "Must See TV" status. 6. The O.C. I know, I know: it�s mindless, but a guilty pleasure nonetheless. The snappy dialogue makes up for the tedious soap opera angst. 5. Drawn Together. Little seen show on Comedy Central that features totally warped humor. It�s amazing what they have gotten away with, but I guess the animated format makes it easier for the censors to hold their nose. If The O.C. is a guilty pleasure, then this one's a naughty pleasure. 4. Alias. I was a latecomer to this show, having watched the first three seasons on DVD--which may, in fact, be the best way to watch a serial thriller like this. I'll be watching season four when it returns to the air starting in January. 3. The Sopranos. Hard-hitting season #5 was a welcome return to form. Oh, poor Adriana! 2. Arrested Development. Friggin� hilarious. Hasn't missed a beat in its second season, either. Best comic plotting since Seinfeld. 1. Lost. Heads and shoulders above the field. Not just the best new show on TV, but the best overall right now. This was a surprise to me. I watched the premiere with some wariness, but by the third episode I was totally hooked. There is no more inventive, suspenseful character-driven show on the air. Near misses and honorable mentions: the third season of 24; HBO's Entourage; the new season of Smallville--the addition of a young Lois Lane to the cast has made this program a bit more interesting; Saturday Night Live, which always seems to find its voice in an election year (the debate send-ups were clever); Everwood--I gave Jack & Bobby a try, but this is the only "family drama" that I see with any regularlity; and The Office special, which wrapped up this terrific British import both sweetly and snarkily. In presenting my picks for the best DVD releases of 2004, I�ve leaned heavily toward multi-disc collections, which appears the direction into which the industry is moving. 10. The Simpsons, Seasons 4 and 5. The golden age of this animated classic. Some of the episodes in these two collections released in 2004 are absolutely delightful. 9. Looney Tunes Golden Collection, Volume 2. A priceless assortment of 60 cartoons restored to their full glory. A worthy successor to the excellent Volume 1. 8. The Office, Seasons 1 and 2 and Special. Bloody brilliant British comedy with a perfect cast. Hilarious. 7. Live Aid. This gem on four discs is a time capsule of pop music in the summer of 1985. The Live Aid double concert in the U.S. and the U.K. was equivalent of Woodstock for the MTV generation. 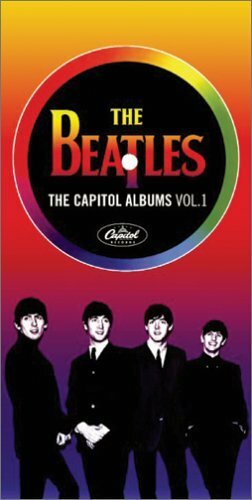 I missed seeing the original broadcast, as I was far from a television set, immersed in my first teaching job on the campus of St. Paul's School in New Hampshire, but later that summer I wore through a VCR cassette of the action in Wembley and Philadelphia. The clear highlight for me: U2�s breakthrough performance. 6. Da Ali G Show: The Complete First Season. I stumbled on this show in the late spring almost by accident. A friend had loaned me a bootleg copy of the first season shows on HBO before the disc had been commercially released. It sat next to my TV for a couple of months before I started to feel guilty I hadn't given it back to her. So I popped it in the DVD player on a quiet weekend night while on duty in the dorm. After fifteen minutes in which I was trying to figure out what this was all about, the laughs came: fall out of the chair, gasping for air, deep belly laughs. At their best moments, Sasha Baron Cohen�s characters--Ali G, Borat, and Bruno--made me laugh as hard as I've ever laughed. 5. Alias, Seasons 1, 2, and 3. This is a bit of a cheat to lump all three seasons together as one item on my list, especially as not all were released in 2004. But I watched them all this past year and 2004 is when I got hooked on the series. Season 1 was a February obsession, Season 2 took up more of my spring break than I'd care to admit, and then I got up to date with the release of the third set in September. 4. Seinfeld, Seasons 1 & 2 and Season 3. I went for the collector's set, with the Monk's Caf� salt and pepper shakers and the annotated script. I usually steer clear of these fancy packages, but I this case it seemed like the cheapest way to get all three season at once from Amazon. I got to watch a slew of Season 3 episodes with some colleagues while we traveled to a school function on a bus and was reminded just how very funny this show was at its peak. 3. Freaks And Geeks: The Complete Series, Deluxe Edition. This package, delivered in a replica of a high school yearbook, wonderfully captures my days as a teenager. The setting of the show lines up nearly perfectly with my era. And the deluxe set has just loads of material. What a terrific soundtrack, too. I missed the show when it originally aired, but it's a treat to see it in this wonderfully complete DVD package. Tie, 2. Indiana Jones and Star Wars trilogy boxed sets. These offerings from Lucasfilm contain some of my all-time favorite movies plus a bunch of nifty behind-the-scenes extras. They look and sound great. The DVD versions were well worth the wait. But they could have slid into the top slot, had (a) we been offered the original theatrical releases of the Star Wars flicks (we know Greedo did NOT shoot first! ); and/or (b) Spielberg had broken down to give us director's commentaries on the Indy movies. 1. Lord of the Rings: The Return of the King (Extended Version). The conclusion to Peter Jackson's magnum opus winds up at the top of my list in part because the original film was so well made, but more because Jackson shows the rest of the film industry just how good the DVD format can be in presenting a film. The extended versions of all three LOTR movies reflect tremendous care in their assembly and probably will be regarded as the "definitive" versions of the these films in years to come. When put together, the three extended version packages comprise an epic that spans almost 12 hours of film. And it's all utterly gorgeous. But what makes these collections so exquisite is the sheer volume of extras. The additional materials reflect the same sort of attention to detail that was typical of the movies themselves. An A+ release. Honorable mentions and near misses: Curb Your Enthusiasm, Seasons 1 and 2, if for nothing else than for the "Beloved Aunt" episode; The West Wing, Seasons 2 and 3: the good old days of Aaron Sorkin dialogue, snappily delivered by one of television�s best ensemble casts; and Spider-Man 2, a movie that was deservedly a box office smash in the summer. The human tragedy in South Asia has been getting widespread news coverage. It seems each hour the body count from the deadly tsunami climbs horrifyingly higher. It gives one pause in this holiday season to count his blessings. It also reminds us, fragile residents of this planet that we are, of the power of nature in a world that we often fool ourselves into thinking we have tamed with our technology. Just a few hours away from a flight to Puerto Rico. I am looking forward to escaping from the sub-freezing temperatures of the Northeast! This page contains all entries posted to As Far As You Know in December 2004. They are listed from oldest to newest.